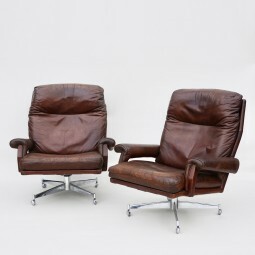 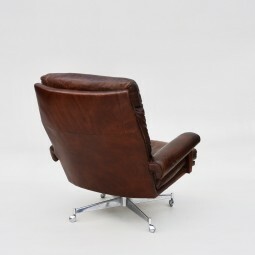 A pair of 1960s leather armchairs with four star chromed steel bases. 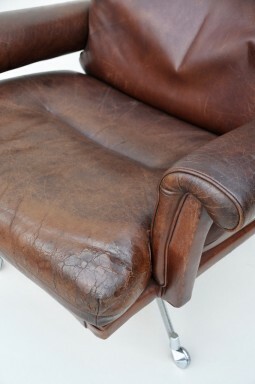 One chair is in good condition and the other one has survived less well, but is just as comfortable as the first one. 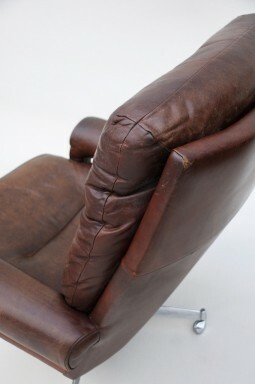 The last two photos show an open seam in the seat and a scuff tear in the second chair. 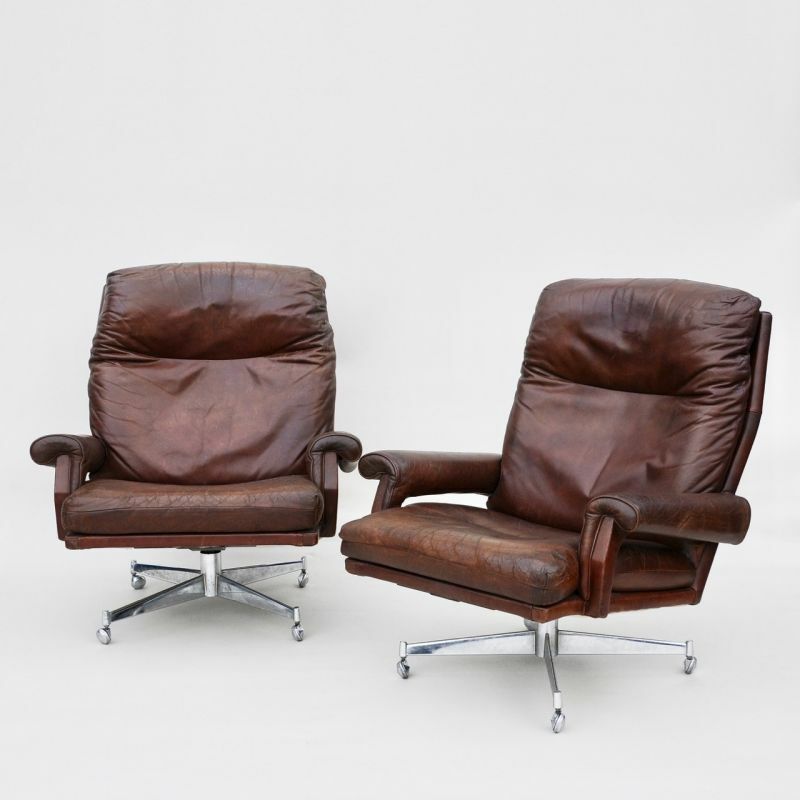 The price is for the one and the other comes free with the first one! 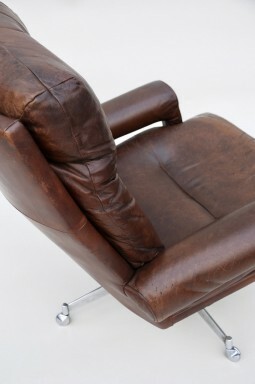 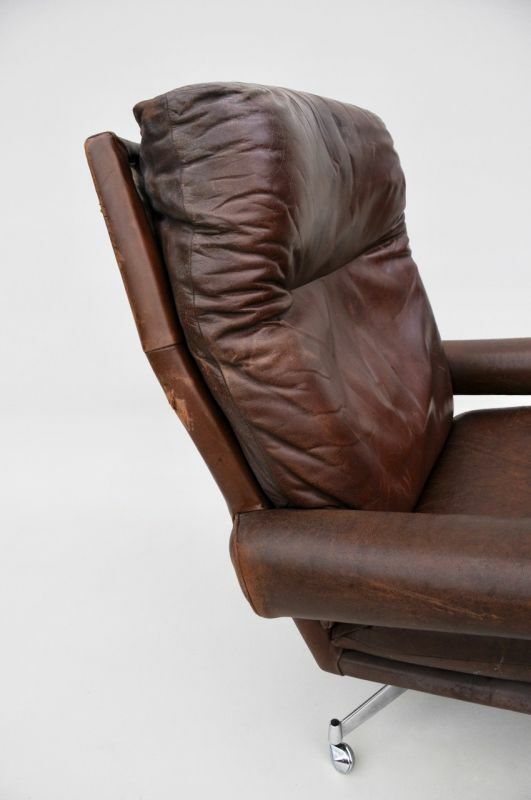 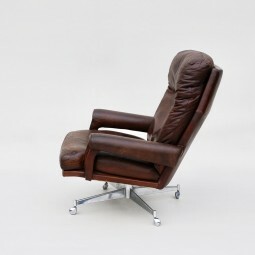 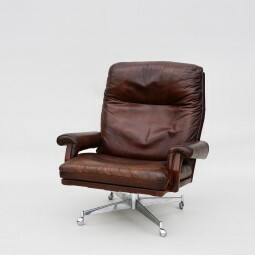 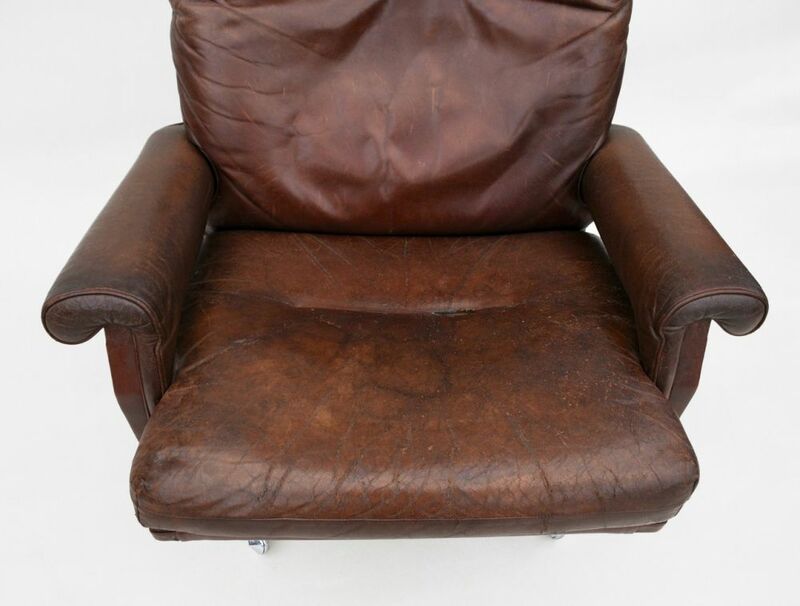 The leather is a wonderful tan colour that has a well used patina and character. 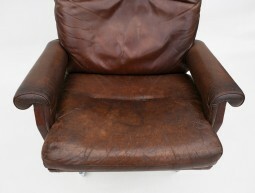 The measurements are 85 cm wide, 83 cm deep, and 94 cm high. 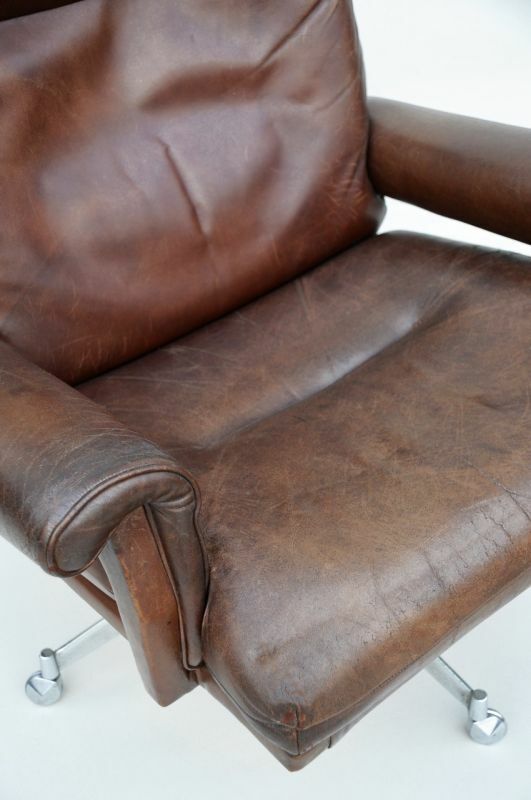 The seat is at 42 cm.